Free Crystal Light is back at Target! If you scored the $2/2 Crystal Light Drink Mix Products coupon in the 9/13/09 Smart Source insert, you should be able to use it to get some FREE Crystal Light on the Go packets. Look for Crystal Light on the Go 3-packs in the check-out lanes at Target for $.99. 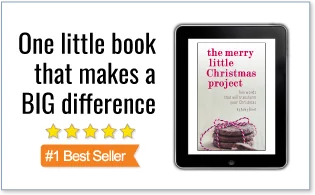 Use the coupon to snag two for FREE! For the rest of the deals at Target this week, go here. Thanks for the heads up, Hilary! « My Coke Rewards: Score a FREE Coke Product! Publix will take competitors coupons and they will honor coupons for amounts over the retail price. They had Delmonte diced tomatoes (in cans) on sale recently for Buy One Get One Free – they were only 99 cents a can so I thought 2 for that price waws a great deal. Lucky me, there was a little machine in front of them spitting out coupons for $1.00 off per can. I not only got the one I paid for free, but the girl gave me a $1.00 off for the free can that was part of the BOGO deal. Not only were the cans of tomatoes free, I came out $1.01 ahead for every 2 cans. The coupon says very clearly that the items indicated are ANY two Crystal Light drink mix products. (ANY is even in bold.) No where on the coupon does it say only for items pictured. 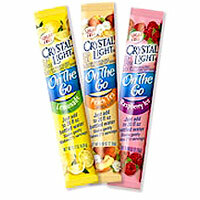 Crystal Light to Go packets are included in ANY. So I would point that out to the cashier. If need be, ask for a manager. You should not have a problem proving your point. Thanks for responding! How do I argue the coupon says valid for item(s) indicated and shows a picture but not of the 3 pcks? I tried to use the $2 coupon for the crystal light this morning and they wouldn’t let me. I’m very new to couponing so any tips? They probably wouldn’t let you use it because the value of the coupon was $.02 more than the value of the products. However, Target just posted their coupon policy online and it states very clearly that they can lower the value of the coupon when there is an overage. I would encourage you to go back with the coupon policy in hand and do the deal again. You can find the coupon policy on their web-site here: http://www.target.com/b/ref=br_bx_4/192-9168409-2594745?ie=UTF8&node=2223357011 If they give you a hard time, you can show them the policy and ask them to please reduce the value of the coupon. If you need to, I recommend asking for a manager. Targets are known for giving people a hard time about this, but now that there policy is right on their web-site, they will need to follow their own rules!